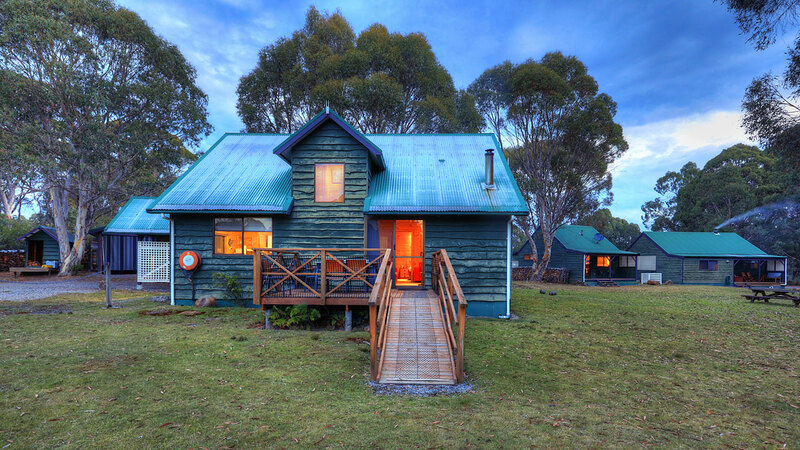 Derwent Bridge is a small settlement in Tasmania's Central Highlands, only 5 km from the visitor services area at Cynthia Bay, Lake St. Clair – adjacent to the southern boundary of the Cradle Mountain – Lake St. Clair National Park. 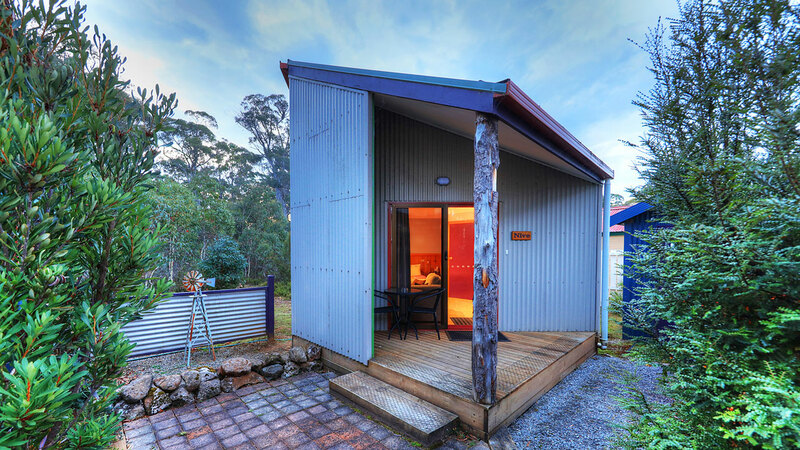 It is the halfway point on the drive between Hobart & Strahan and being close to the state's geographical centre, it is readily accessible by road from the north, south, east or west. 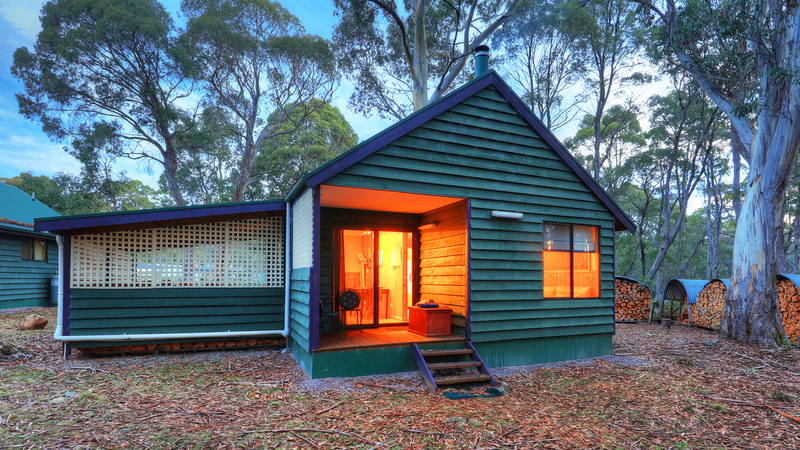 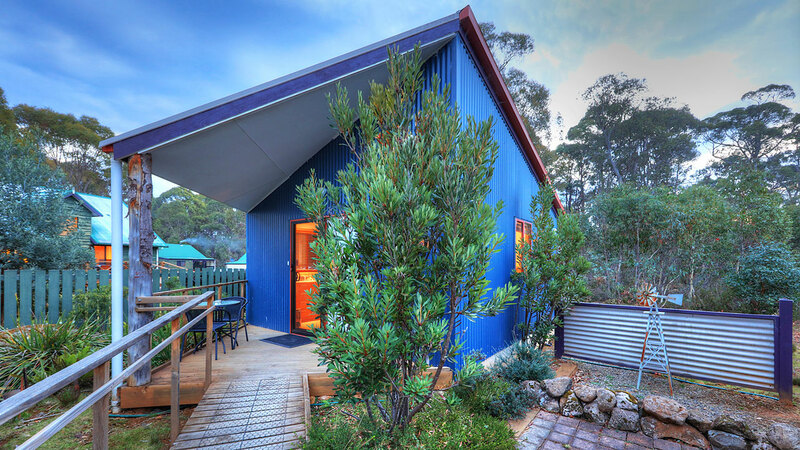 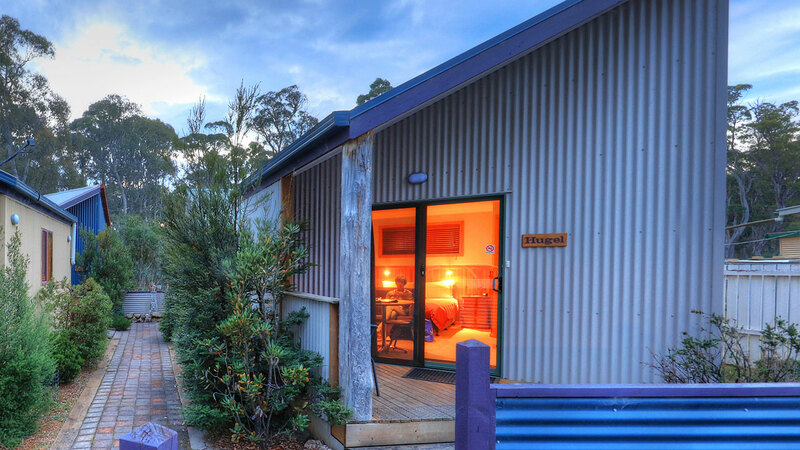 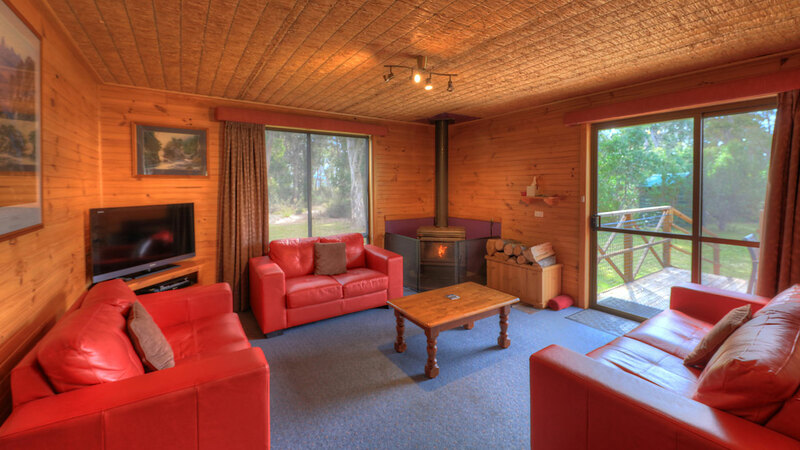 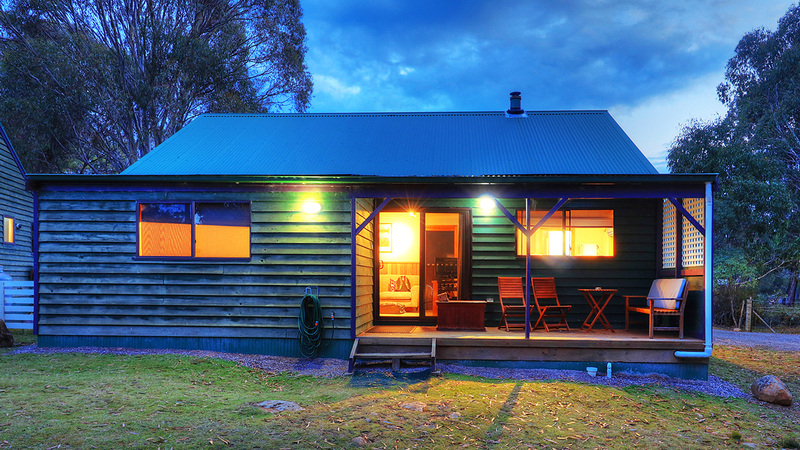 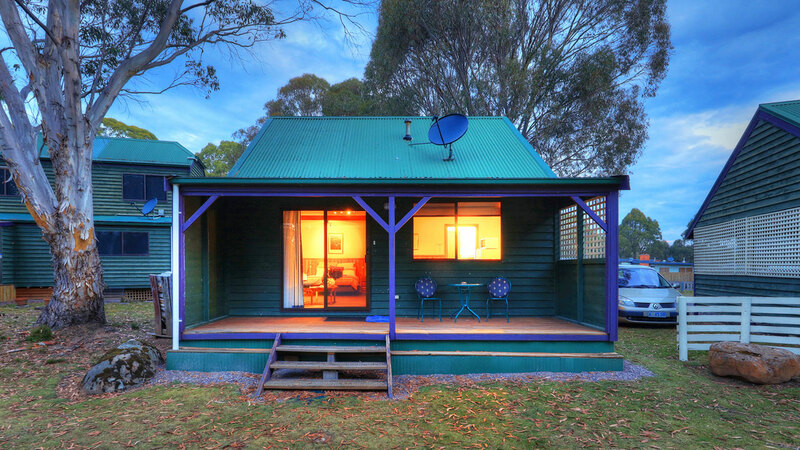 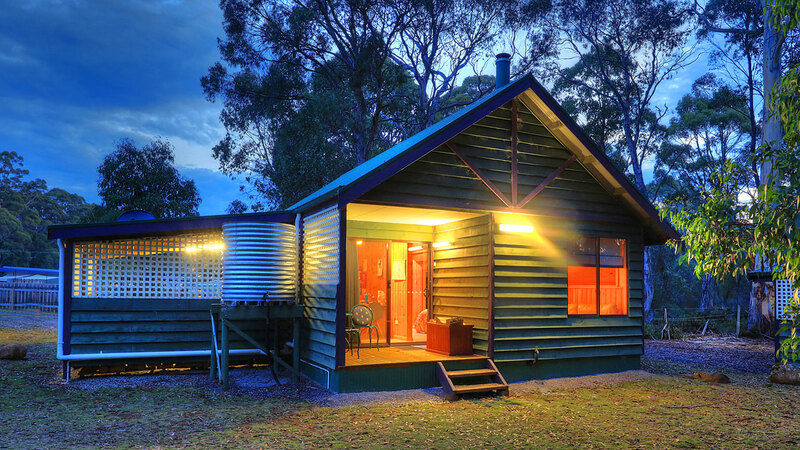 Derwent Bridge Chalets & Studios are ten 3½ star, self-catering units for couples, families and groups set in a quiet location looking on to an attractive snow gum forest. 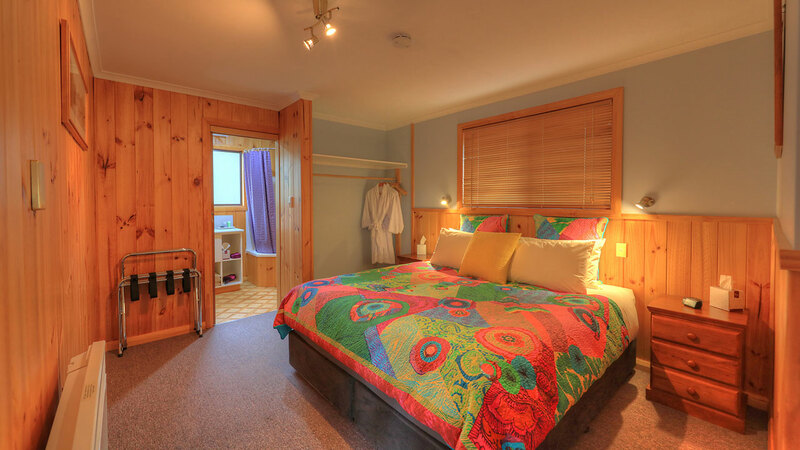 Two are superb spa chalets - just for couples - offering great comfort and privacy. 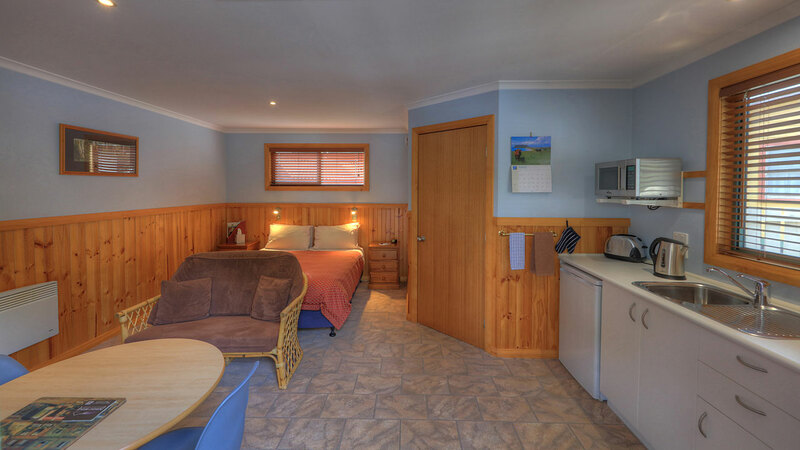 Four 3½ star studios have been added for visitors seeking private, self-contained accommodation on a smaller scale than provided in the chalets. 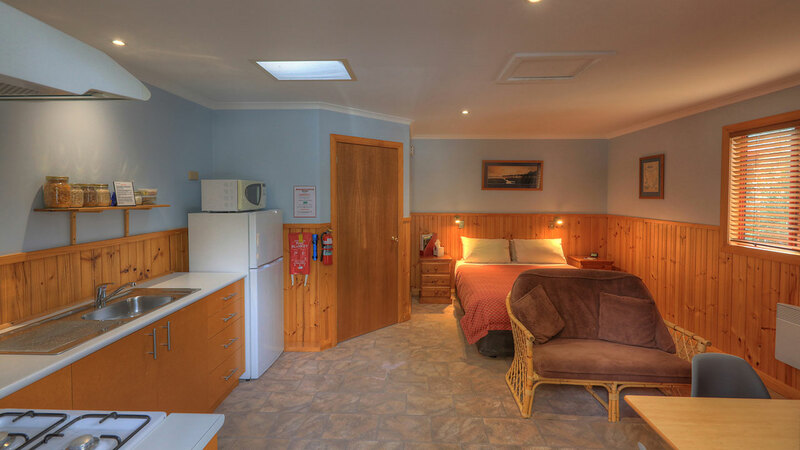 If you wish to dine out, we are within easy walking distance of the Derwent Bridge Wilderness Hotel, just 700m from the property. 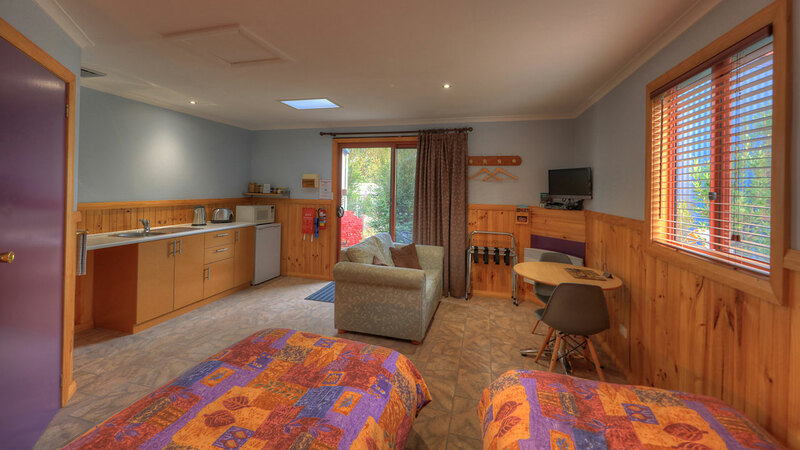 The Derwent Bridge Chalets & Studios complex is a growing concern, with the first chalet, Olympus, built in July 1992, followed by Rufus in February 1993, Ida in 1995, Byron in October 1998, Clair in November 1999, and William in December 1999. 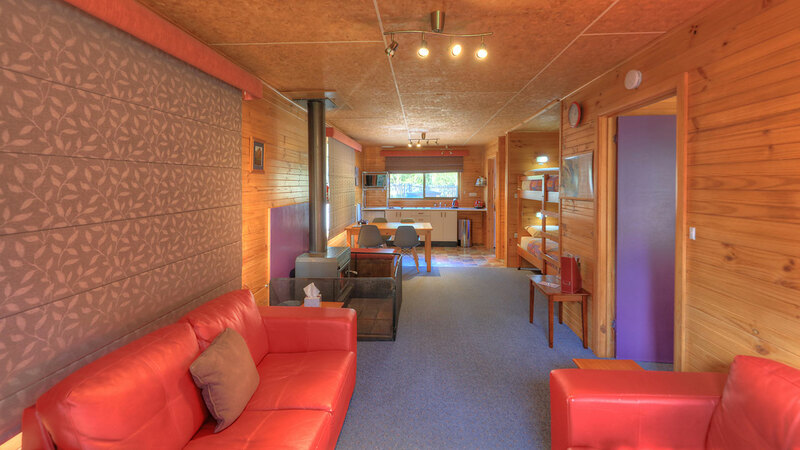 The four studios (named after local rivers) called ‘Hugel’, ‘Cuvier’, ‘Nive’ and ‘Narcissus, were built between 2002 and 2004. 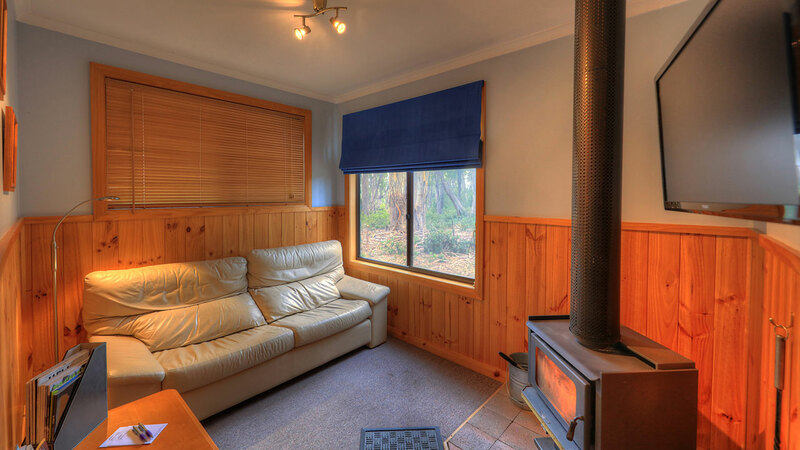 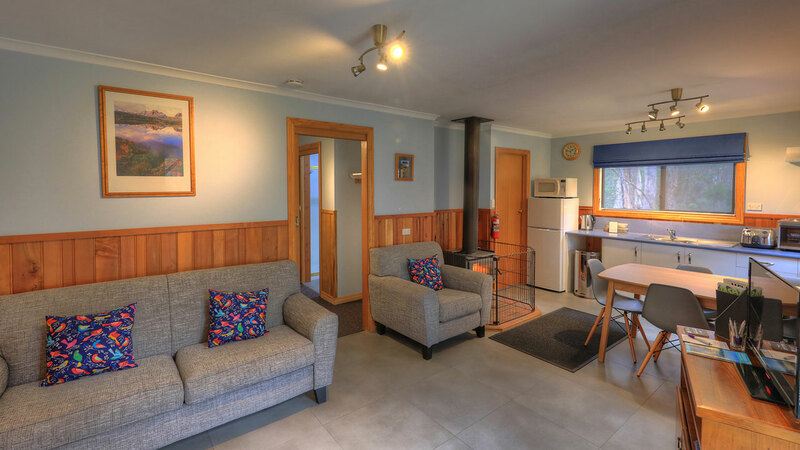 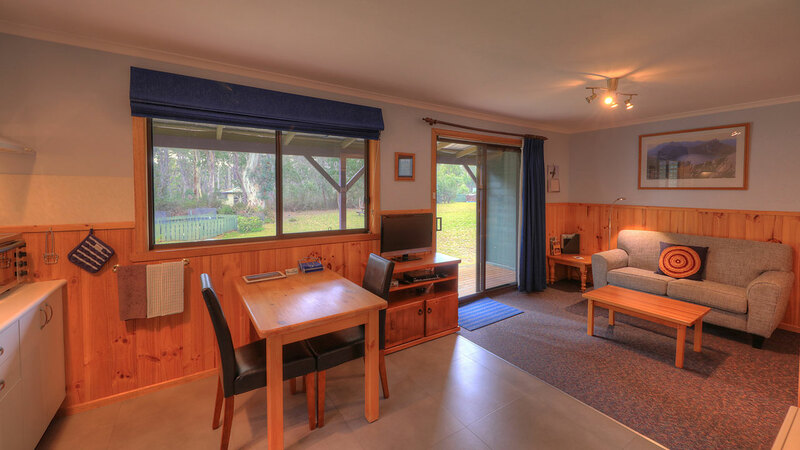 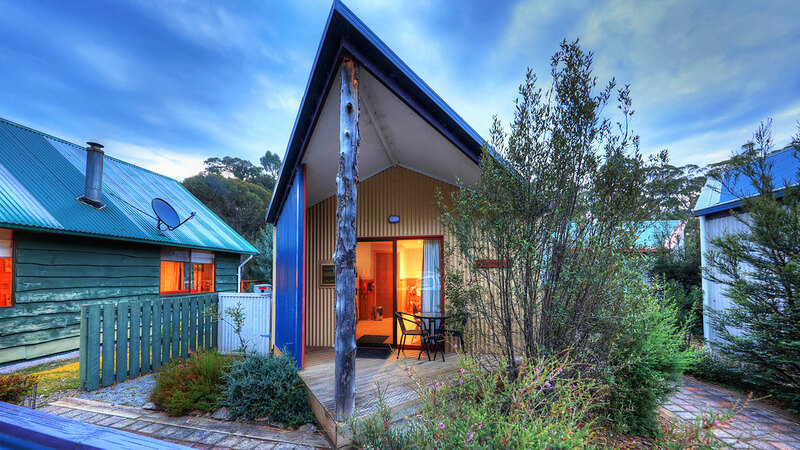 Situated near the southern end of the Overland track in the Cradle Mountain-Lake St. Clair National Park, Derwent Bridge Chalets & Studios are the perfect place to rest in comfort after the long walk. 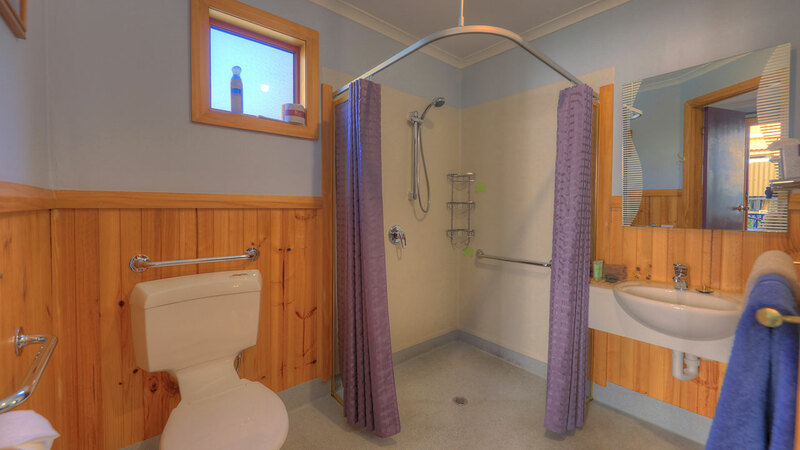 The perfect place to soak your tired muscles and enjoy some good sleep in the comfort of this well appointed property. 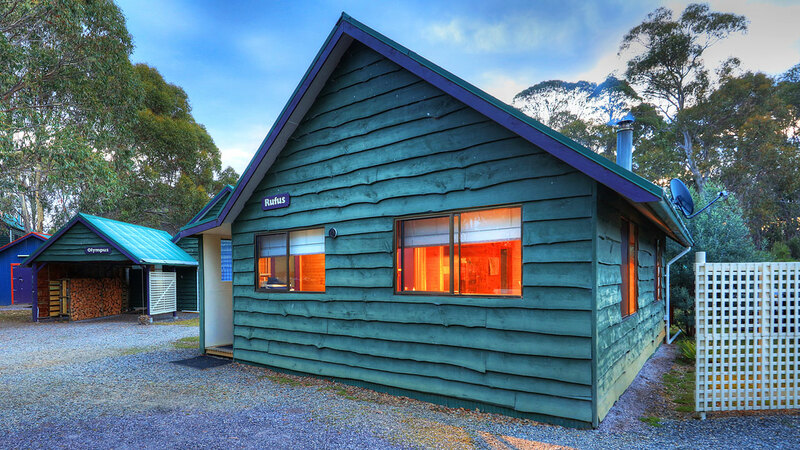 If you have any special food requirements please bring them with you as there is very limited shopping in this area being an isolated community in the Highlands of Tasmania.